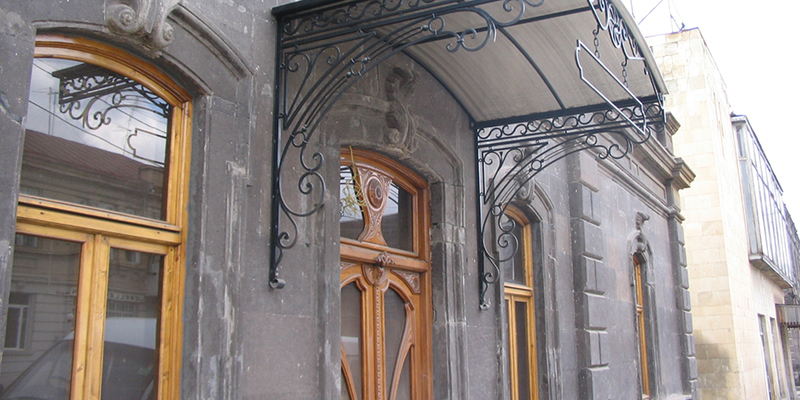 After Aslamazyan Sisters’ gallery stop you may want to go back to Gorki Street and see the former public bathhouse of Gevorg Agha (Sir) and the current cafe called Gorki 28, which was built during 1860-1880. 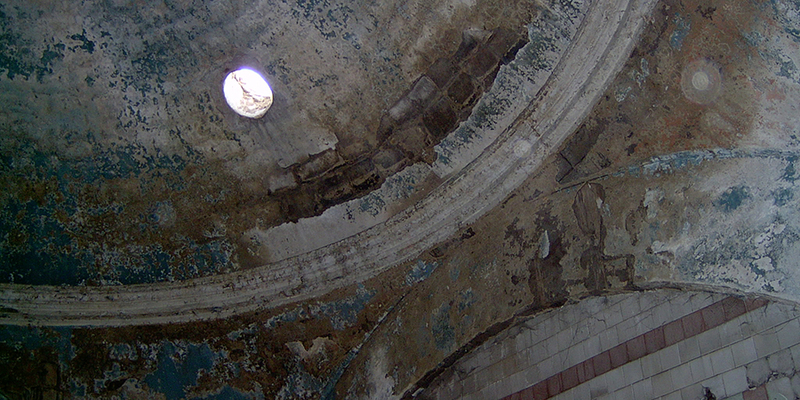 It was built by famous rich Alexandrapol citizen Gevorg Kostanyan. It had built in floor heating system, which contributed to the fuel efficient usage. 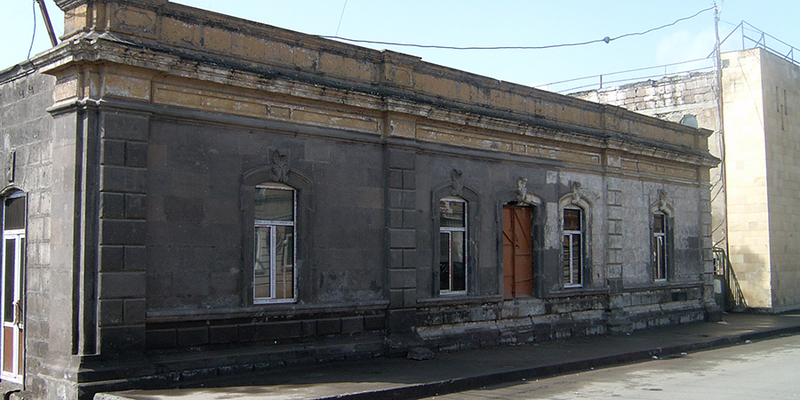 In the 19th century it was common practice in Gyumri to go to public bathhouses. 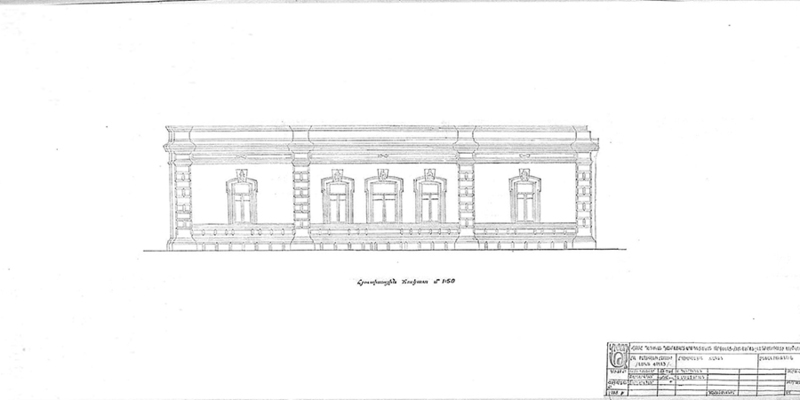 The men’s and women’s entrances were on different streets, so that they’d not see each other entering or leaving the bathhouse.Bathhouses were so much a part of people’s life that they were incorporated into local traditions.Duirng the historic times Alexandrapol citizens would take the bride and the groom to baths before the wedding. Close relatives, such as mother and sisters would take the bride to the public bathroom before the wedding to see the beauty of the bride.The building suffered from the 1988 earthquake and was rebuilt by a private owner as a café.